Client feedback: “Stuart, you likely saved us 100 grand! We thought the house was good to buy. Excellent work man” Greg White (buyer, and repeat client). Fact: Risknet offers more than any other property inspection business in Canterbury. Checking the Floor levels in any post-quake Christchurch and wider Canterbury property is a critical part of robust property due diligence. We can flag potential problems with a specific dwelling, and guide our clients through the process, whether they are buying or preparing to sell. Risknet Limited provides a floor level benchmark that may well prove to be a game changer for current disputes, price negotiations or for any future insurance claims. We Check Before your Commit. Check it. Record it. Keep it. Time on site circa 90 minutes. Prices from $340.00. Larger areas to quote accordingly. Talk to Risknet on 022 609 6026. Payment options may also be available. Risknet will arrange a suitable time for the client to undertake a ground level, pre-purchase floor levels survey. This survey includes the collection and recording of key data points and plotting these onto a floor plan. The levels will be collected on an approximate 2x2m grid however these may be impacted by the placement of heavy furniture. Levels will record and identify changes in floor coverings. (Carpet, hardwood, tiles etc.). To provide a higher level of protection for the prospective purchaser in the event of future predicted seismic events. Time-on-site: circa 2-5 hours varies with equipment used. Indicative pricing: circa $1500-1800 +GST. 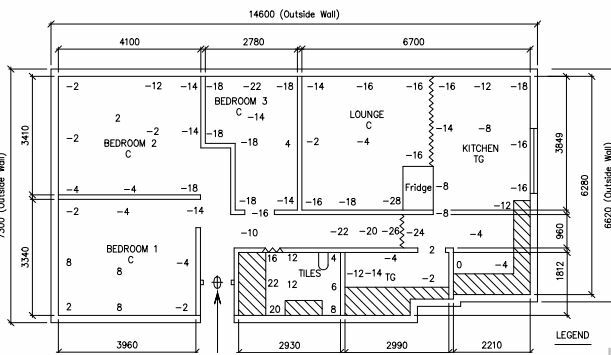 Cadastral surveyors can provide an accurate and independent measurement of floor levels for the entire property. A floor plan provided will show where floor levels differ which will allow the prospective purchaser to make an informed decision. Floor level observations are made on a 2m grid (approximately) where possible throughout the buildings. A prism pole is used for all floor level observations where reflectorless measurements cannot be utilized. A needlepoint adaptor is used to penetrate carpet surfaces through to the floor level below. Minor corrections, to the recorded height of the target, are made when observations are taken on other hard surface areas, such as tiles and concrete, to allow for their varying thickness. Adjustments are then made to all observations to reduce them to the same plane surface. Envivo is able to provide a professional report by testing specific parts of a property for an affordable fee. Let’s not be naïve. Future events are not only predicted, but they are also expected. For us to not learn from or at least acknowledge, the issues many thousands of residential and commercial owners faced in the wake of the Canterbury Earthquakes, would demonstrate ignorance, beyond comprehension. 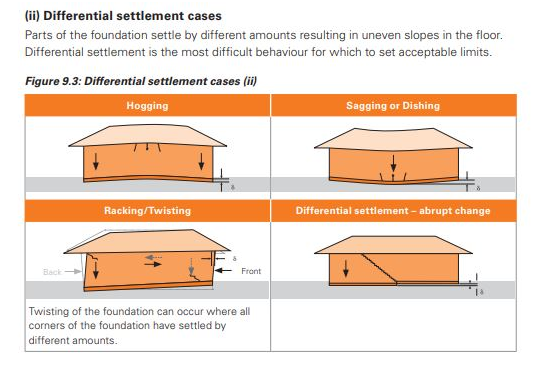 The term ‘Historical settlement’ in reference to post-event floor levels, has been broadly used by both EQC and Private Insurers to minimize their collective exposure to claims. Without a reliable starting point, how can either party prove or disprove the other’s position in relation to what movement a building has actually suffered in any new event? Without any starting benchmark, we are left arguing over wholly unreliable assumptions. Ministry of Business, Innovation & Employment (MBIE) states the following. Building damage can be divided into two broad categories: damage that was caused solely by earthquake shaking; and damage that resulted from ground deformation including liquefaction, lateral spreading or landslip. While shaking damage to dwellings has been observed on the flat, the February and June 2011 aftershocks, in particular, caused significant shaking damage to hillside houses. The observed high vertical accelerations were responsible for severe damage sustained by tile roofs and brick veneers, and unreinforced foundations were often severely cracked. Christchurch house value. Will yours stack up in the future?